Panini is doing something right. Seems like everyday they are announcing an insert to be included in one of their sets that is awesome. Today is no exception. 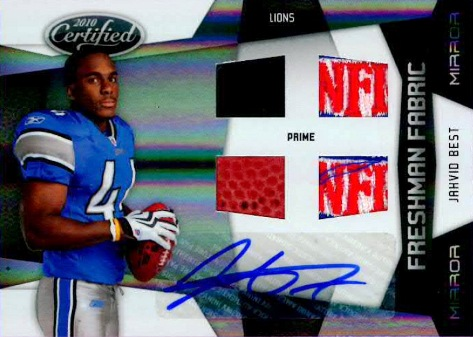 They will be hard to get a hold of because they are 1/1's, but these Rookie Mirror Blacks, Jahvid Best and Sam Bradford, look great. 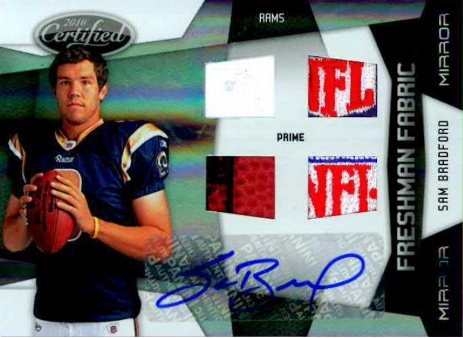 To see a whole gallery of them head over to Panini using this link. Sparky Anderson placed in hospice care. Is it time for Brett Favre to retire?